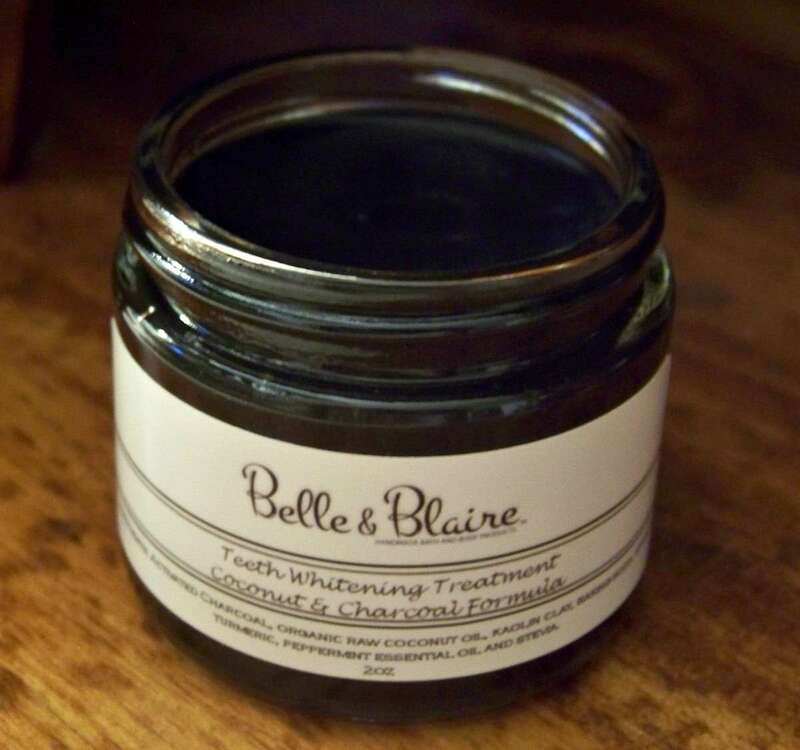 You can absolutely have whiter teeth with our charcoal activated Teeth Whitening Treatment. 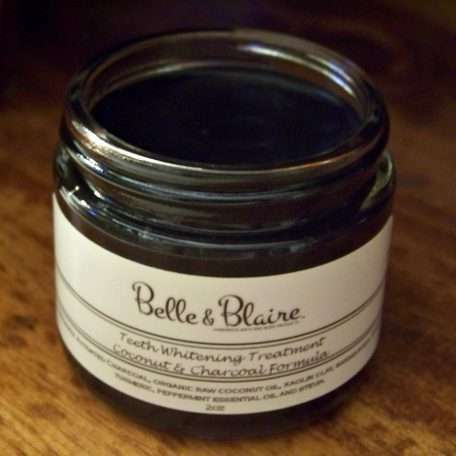 Made with all natural ingredients, activated charcoal, raw coconut oil and essential oils, this paste will whiten and brighten your smile without irritating your mouth or gums. Ingredients: Activated charcoal, baking soda, organic raw coconut oil, kaolin clay, turmeric, myrrh gum powder, essential oils (peppermint or spearmint) and stevia for taste. Free of fluoride and vegan product. How To Use: We recommend a second toothbrush for this product because the activated charcoal will stain the bristles. Use twice a day for optimum results. This product with regular use generally takes 3 weeks to 1 month before you will see noticeable results; however, it can take less time depending on how stained your teeth are. Wet your toothbrush with water, apply a pea size amount onto the toothbrush and then brush on the charcoal activated paste. Leave on for 5 minutes and then thoroughly rinse out your mouth. A follow up brush is recommended with the Belle & Blaire Warm Spice Tooth Powder or use your regular toothpaste (this second step is optional). Product Maintenance: This product is heat sensitive.It is recommended to store at room temperature or in the refrigerator in hot climate areas. The product should remain solid before use.